I’ve been fortunate to land a part-time job working with youth at a local Presbyterian (USA) church. Realizing that I am woefully ignorant when it comes to the doctrines of any denomination aside from Roman Catholicism and Methodism, I picked up a little book called Being Presbyterian in the Bible Belt – a Theological Survival Guide for Youth, Parents, and other Confused Presbyterians written by two Presbyterian ministers; Ted V. Foote Jr. and P. Alex Thornburg. The book is published by Geneva Press, an arm of the Presbyterian Publishing Company so I figure that it’s pretty orthodox. I’ve found the book to be very refreshing and the theology is right in line with my own evolving beliefs. Their use of the phrase “Bible Belt” doesn’t refer to a geographical place but a theological and spiritual state of mind, one that I am very familiar with. In particular, I appreciated their discussion of heaven and hell, a topic which has been a bone of contention when talking to Hyper-Reformed Calvinists. Obviously, there are a number of problems with this view of the world, or the afterworld. Not the least is the prevailing attitude that it’s always “our people” who get into heaven and the bad guys, usually anyone who doesn’t quite believe and act the way we think they should, who end up being cast into hell. Heaven becomes an exclusive country club for the beautiful people who can look down at those sinners in the ghetto of hell and feel sorry for them. Well said, though I am embarassed to say that not too long ago the idea of my faith as ‘heaven insurance’ would have had a nice ring to it. If I get nothing else out of this little book I’ve learned a new word that will be seeing some regular use: neo-evangelist. I love it. This entry was posted on September 14, 2009, 3:53 pm and is filed under Calvinism, Christianity, damnation, Emerging Church, Evangelism, Faith, God, Gospel, Heaven and Hell, Hell, Orthodoxy, reformed church, Religion, Religious Tolerance, salvation, Theology, tolerance. You can follow any responses to this entry through RSS 2.0. You can leave a response, or trackback from your own site. 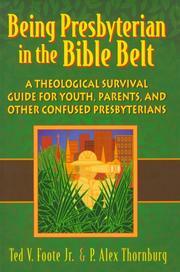 Interesting stuff—you should try this book The Presbyterian Handbook as well. I just got a copy the other day—good stuff as well as funny. Thanks Ben. I’ll check that out. The book I’ve been talking about has a nice airy feel to it and it’s got some pretty funny parts as well. So much for the ‘frozen chosen’ moniker. In fact, the people that I have met at this church have been delightful. The youth in particular seem to be filled with God’s spirit yet have not picked up all the forced piety and Christianspeak sound-bite theology that I’ve seen with the neo-evangelical youth groups. Sheesh. Sounds like you’ve picked a little “Presbyterian USA” Speak, there, Sparky. BTW, Coming to you live from the Ivory Tower . . .
Did the Presbyterians coin that phrase? Probably why I never heard it before. But it is so…perfect. It is a shame how the fundamentalists and reactionary Christians have co-opted the word “evangelical” . Not long ago, when we were fundies, I remember making fun of the Lutheran Evangelical and other denominations who incorporated the word into their traditions yet did oh so very little to fulfill the Great Commission of beating people over the head with the Bible. So Lutherans should do more Bible Beating? The Lutherans who own my daughter’s former school seemed to be more like Bible thumpers. The folks I encountered when I used to frequent the library at Lutheran Theological Seminary in Gettysburg? NOT Bible thumpers, by any stretch. No, I don’t think they should be thumping Bibles. But I used to. Not that the Bible shouldn’t be central to the Christian faith but it should only be a component, not the end-all. “Don’t you believe in the Bible?” No, I believe in God. The Bible can help. So, you reject the Scriptures as the sole source of faith and practice?